Spring is always a welcomed season in Joburg. The sun is out, the city’s turning greener, and everyone’s looking for an excuse to leave the house, meet up with friends, and explore Jozi. 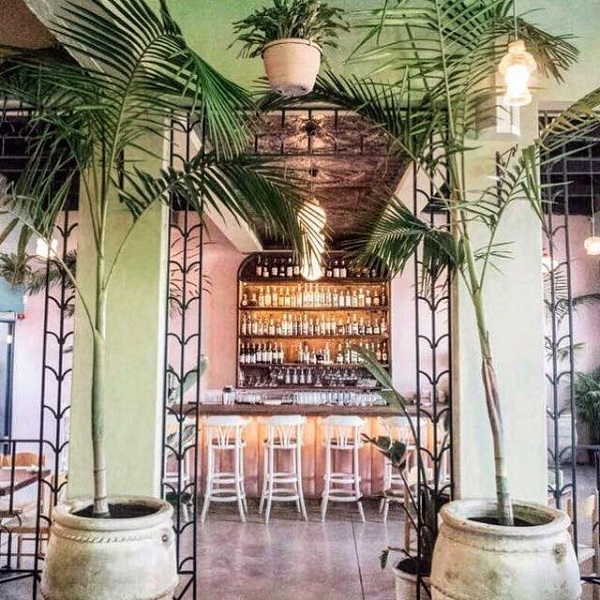 If you’re looking for the perfect spot to grab a drink and a quick bite to eat, check out a few of our top picks for a Springtime drink below. 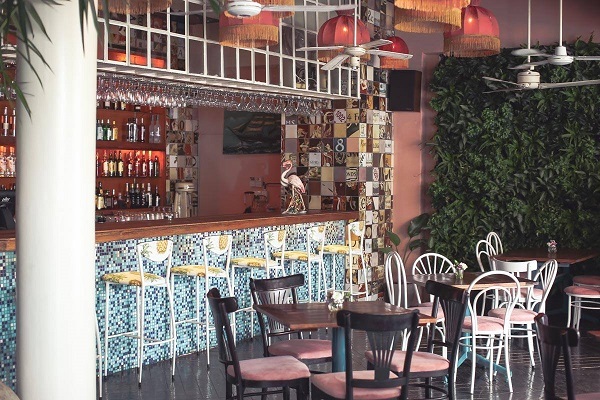 Something of an oasis in the heart of Linden, Brian Lara Rum Eatery is a tropical-themed restaurant and bar sporting neon lights, pineapples, a whole lotta plants, and other island-bar-themed paraphernalia. The cocktails are strong and the atmosphere is always lively, making Brian Lara a great spot for a drink with friends on a hot day. If you’re just there or a drink, you can stroll in and take a seat at the bar, but if you’re looking for a sit-down meal, be sure to book – the place is always packed. 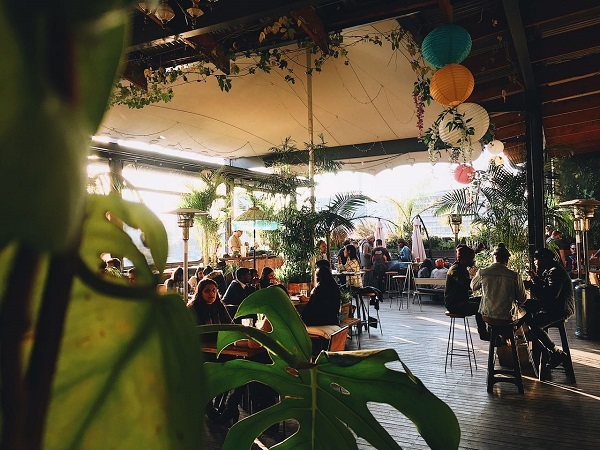 One of Jozi’s best-known rooftop venues, The Living Room is based in the heart of Maboneng and boasts stunning views of the city, replete with loads of hanging and potted plants that turn the venue into a rooftop garden that doubles as a great party spot. The Living Room hosts regular events with live DJs and is pretty much always filled with people so be sure to book a table if you’re wanting to sit down and enjoy a meal with friends while you grab a drink or two. Xai Xai’s not exactly a ‘springy’ spot, but they do take their name from Mozambique’s seaside city. 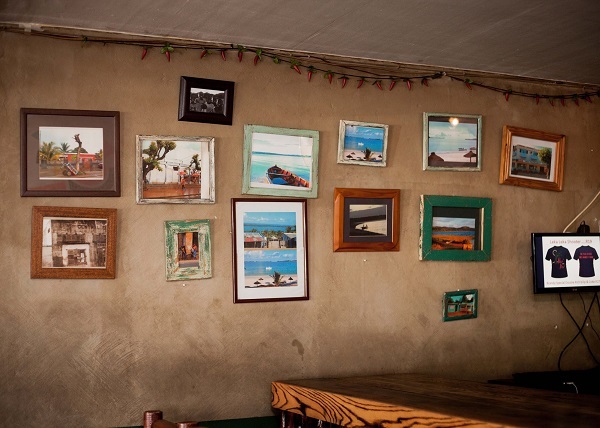 If you’re into dressed-down, laid-back spots, head through for a pizza and a few draughts and enjoy them inside the cool, quirky venue, or sit outside and watch the hustle and bustle of Melville’s 7th street play out before you. A little larney if we’re being honest, but Rosebank’s growing strip of restaurants, barber shops, pizzerias, and pubs located on the corner of Bolton and Jan Smuts is worth a visit if you’ve never been. 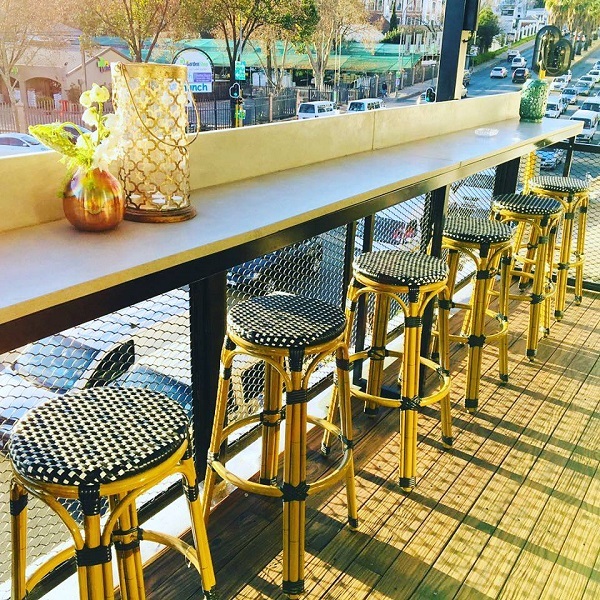 We recommend heading through to the latest edition to the strip, A Street Bar Named Desire, to enjoy a few drinks on their second-floor balcony which overlooks the busy Jan Smuts intersection. 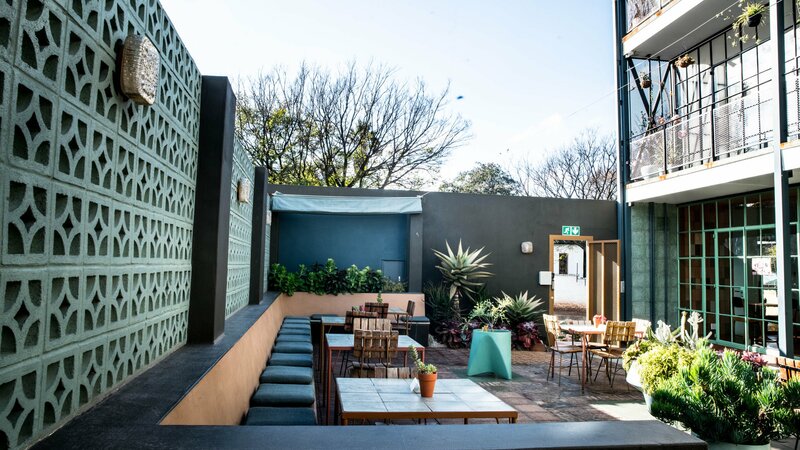 A leafy watering hole situated on the parched strip of Craighall’s Jan Smuts avenue, The Royale boasts great food and even better cocktails. Sit inside under the glow of the restaurant’s neon lighting or grab a seat outside in the villa-style alleyway. Their menu takes inspiration from Cuban cuisine, and many of their drinks follow suit. The place is also packed with plants, making it a perfect, green escape from the city. Breezeblock is a charming little venue in Brixton that manages to strike the perfect balance between coffee shop, restaurant, and music venue. The building itself has been around for ages and Breezeblock maintains much of the original décor and architecture, right down to the bespoke salt shakers and cutlery. Pull through for a boozy brunch, an afternoon drink, or a chilled night out if they’re hosting one of their many live music nights. 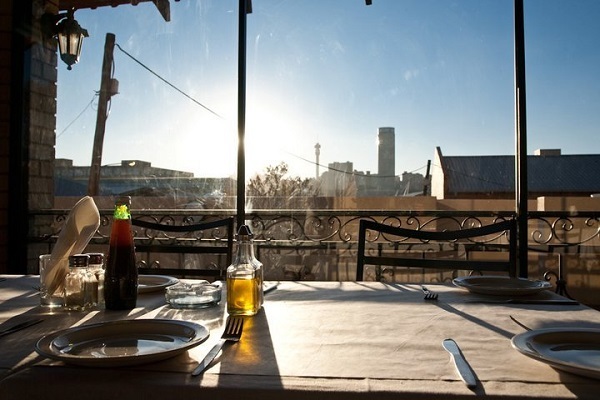 The Troyeville Hotel is a Johannesburg staple. The place has been around for ages and is well-known for its Portuguese-style menu and cold beer. Head through for a drink or two, or grab a table and dig in. Either way, the Troyeville Hotel is perfect for a relaxing afternoon drink, or a few drinks before hitting the town. 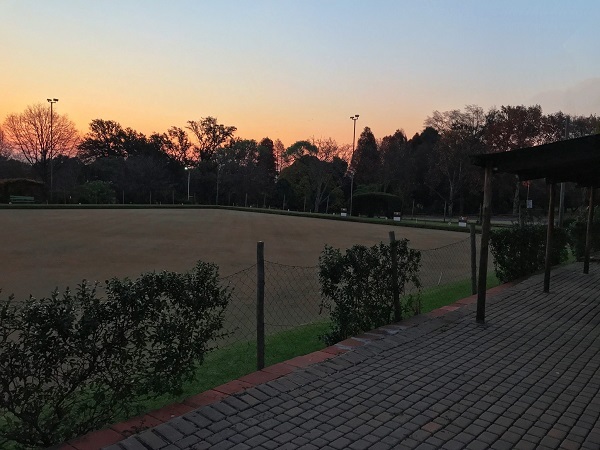 Joburg’s home to a number of different old bowls clubs, including Pirates Bowls Club near Greenside, and Dunkeld Bowls Club. We recommend trying out the iconic Zoo Lake Bowls Club which has the chilled out atmosphere you’d expect to get when visiting a pub that’s right next to a lake. The booze is cheap and the pizza’s come out fast. It’s the perfect spot for an afternoon or after-work drink. Think we missed any crucial springtime spots around Jozi? Let us know on @jhblive!